There are thousands of chemicals floating around in our consumer products. The average consumer has no idea about the safety or health impact of these chemicals. Antoinette is passionate about changing the world and sharing this information with consumers. She teaches “Ingredient Detective Workshop” to help empower families to take their buying choices to a new level. Knowledge is power and when you know better, you can do better. 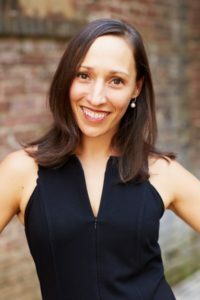 Antoinette Moura is a Health and Wellness Transformation Specialist and founder of Clean Living Collaborators. Driven by a fatal peanut allergy in her oldest son, this homeschooling mom of four small children is on a mission to educate consumers and to change the market place. She travels the country and works with people who want to learn how to take their health into their own hands. Her passion for mother nature and interest in the moon have driven her to support women’s health and healing through using their own super powers of their divine feminine nature to be more productive and more fulfilled in their life’s work!